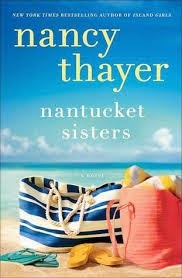 This is my first time reading Nancy Thayer, who is a New York Times Bestselling author of a massive twenty three novels. I judged the book by its cover, shock horror, as it seemed perfect for a summer read. I picked it up late one night, as I had just finished a thriller and fancied something different. Soon I was lost in the world of Nantucket. The small island has always been somewhere I want to visit, and this book made me remember why. 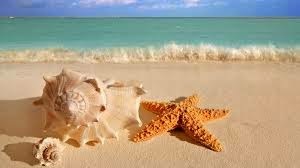 The sound of the ocean, the quaint building, small local community and the fantastic summer season galas, parties and street fairs. Boats bobbing in the background and the sound of rubber flip-flops slapping along sandy beaches. The characters are all given equal time and I actually loved every one in their own way. Genuine people, with different upbringings, each with their own story to tell. Nancy Thayer has written so many novels, and it shows. She is comfortable in her writing style and doesn't need to go into massive details of clothing, cars, interior descriptions but instead concentrates on the narrative, using the amazing backdrop of Nantucket as a fantastic frame for the tale. Not too short, not too long, great characters and a wonderful, wonderful holiday feeling throughout, makes this a perfect summer read. I will be adding this authors previous novels to my wish list, for sure.